Gina started the free online Keeping Chickens Newsletter back in early 2007. 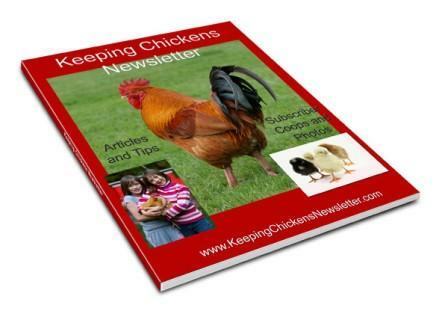 The Keeping Chickens Newsletter is an excellent resource for chicken keepers and full of like-minded people keen to share their tips, photos and experiences of their backyard chickens and coops. Keeping Chickens Newsletter has subscribers from all over the world; many already experienced chicken owners, plenty of ‘new’ chickens owners and also a lot who are looking into the possibility of getting some chickens for the first time. Everyone is welcome! Add any comments below and/or visit Gina Read at Keeping Chickens Newsletter or one of her other sites. baby chickens, baby chicks, Chicken, chickens, domestic chickens, Hen, Rooster. Bookmark.